When we think of the JDM culture, most us picture a parking structure meet straight out of Tokyo Drift filled with stanced Silvias and GT-Rs galore. 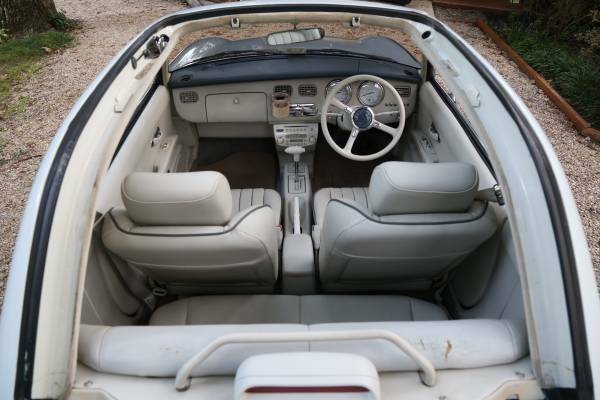 Unfortunately most of us over the pond won't get to own any of these amazing Japanese cars, what with the hellish import process and JDM legends shooting up in value. 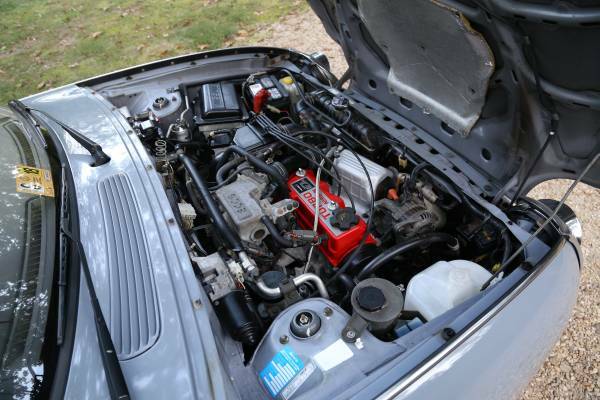 There are still plenty of ways to experience JDM for cheap, but you may have to lower your standards a tad. 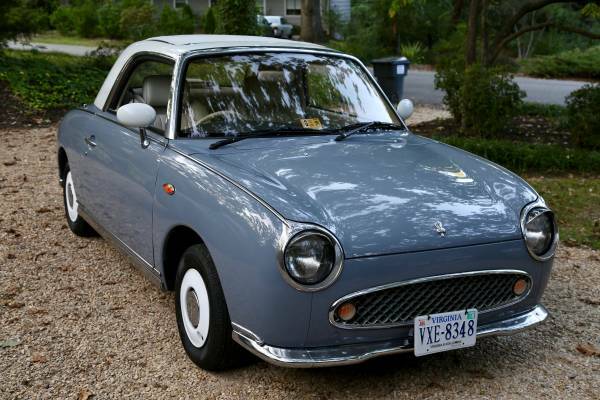 This 1991 Nissan Figaro on Craigslist is one option, and it's in great condition despite having 101,000 miles on the odometer. The owner already went through the trouble of importing it a year ago from Osaka, restoring it and turning it into a show car. 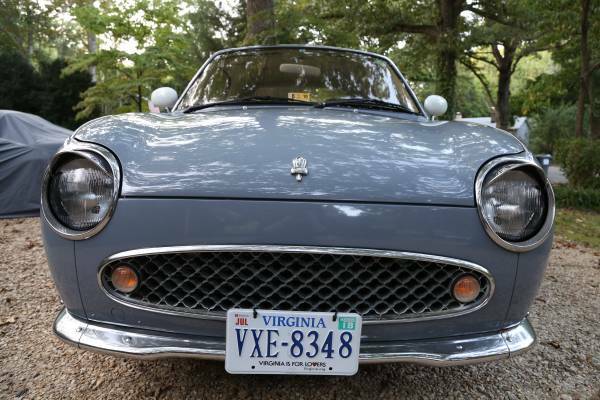 The owner upgraded the Figaro for reliability and drivability, adding new tires, suspension, turbocharger, O2 sensor, battery, Rocker Tensioner, and fluids. 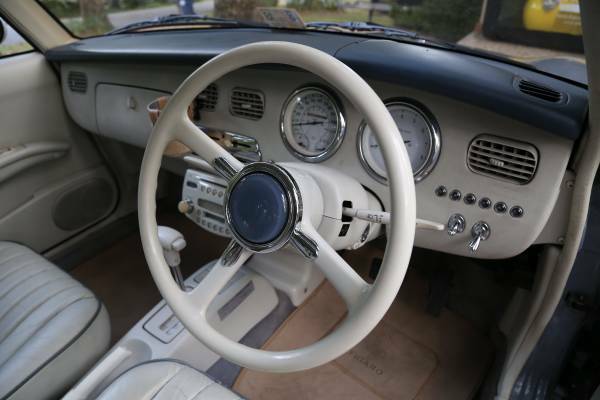 The car is right-hand drive of course, and the only non-JDM modification he (or she) made was converting the speedometer to read MPH– although the odometer is still in kilometers. 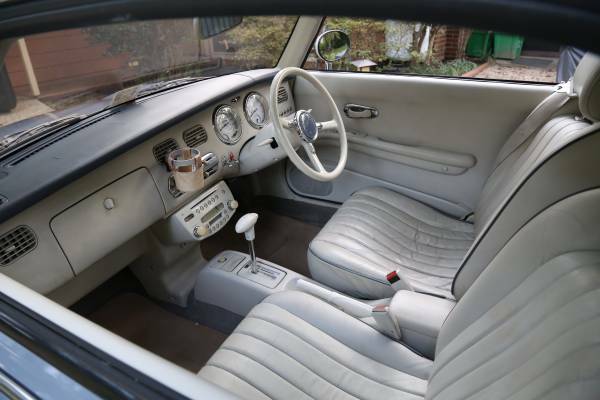 Despite being from '91, the Figaro's styling was inspired by cars from the '60s and '70s like the Citroën 2CV and original Fiat 500. 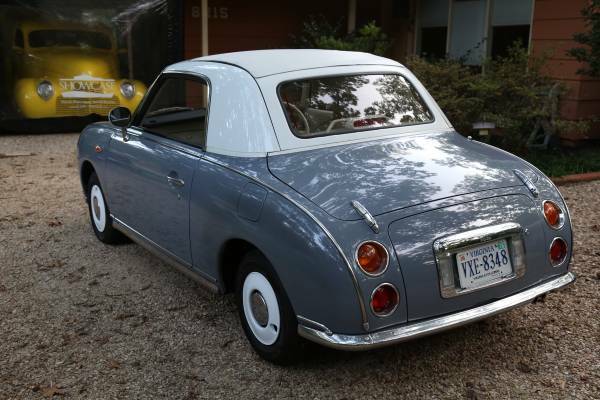 Nissan sold the Figaro in Japan for just one year, producing around 20,000 units. The convertible makes 76 horsepower and 2 more lb-ft of torque from its 1.0-liter 4-cylinder engine paired with a 3-speed automatic. 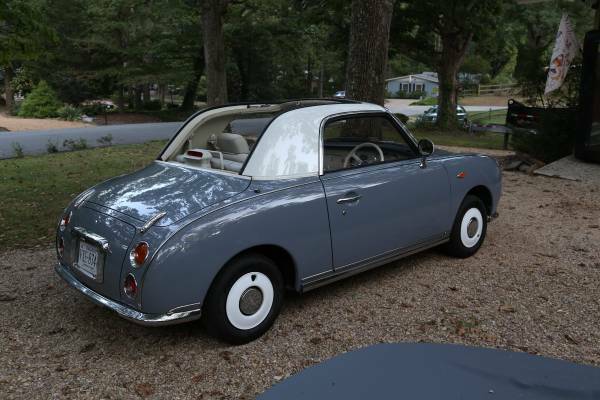 Despite its retro physique, the Figaro is equipped with modern amenities like power windows and cold air conditioning. 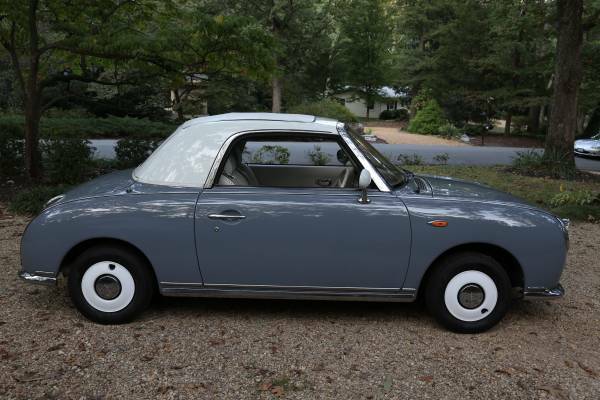 This JDM "classic" may not be a Skyline, but at $8,500 it also doesn't come with the Skyline's rising price on the import market.